Two weeks after the ANAO released a somewhat controversial report into the government’s naval construction programs, the ANAO has released another report, making two recommendations to Defence following its review of the effectiveness of the Department’s arrangements for delivering pharmaceuticals, medical and dental equipment and consumables, and combat rations. The report from the auditor-general found that Defence's arrangements for delivering health materiel and combat rations through the Department's Health Systems Program Office was effective and that it put in place appropriate governance, reporting and accountability arrangements, however improvements could be made with increased IT systems integration and the revision of internal key performance indicators. In regard to Defence's 2017 procurement and contract management arrangements for the supply and delivery of health systems, the ANAO found they were appropriate but Defence did not meet risk policy or negotiate a reduction in tender prices. "Defence did not: meet the risk policy of the Department, comply with the Commonwealth Procurement Rules in relation to records management, or implement arrangements for risk and probity management consistent with the intent of the Commonwealth Procurement Rules; seek to negotiate a reduction in tendered prices during contract negotiations; or plan effectively for the transition to the new contractual arrangements," the report said. The Department's decision to supply freeze-dried meal components as government furnished material rather than through the combat rations contract may have limited the market and impacted the achievement of value for money for the government, the auditor-general warned. Also coming to the attention of the ANAO was the lack of performance-based addendums in the contract. 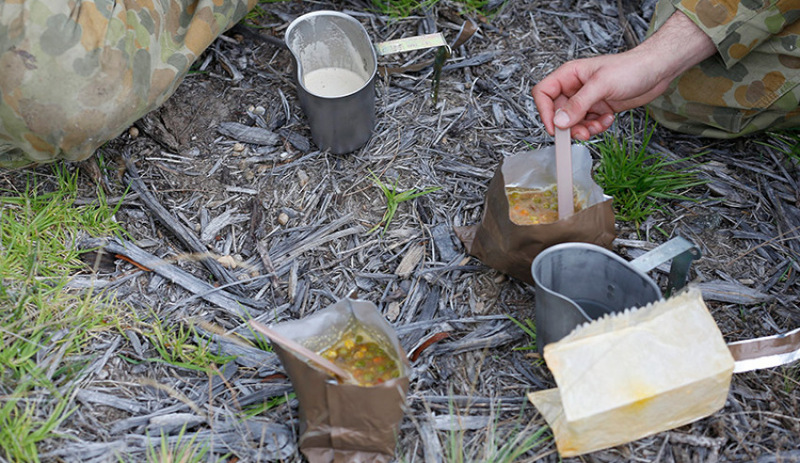 "Whilst the contract for the supply of combat rations sets out the requirements and standards of the products to be delivered and contains some individual delivery payment controls, Defence has not implemented a performance-based contract. The contract does not specify how performance issues will be managed, or link key performance indicators to payments," the report said. In its recommendations to Defence, the ANAO suggested that Defence refine its performance reporting and management arrangements for health materiel and combat rations by "aligning key performance indicators reported on in the Sustainment Performance Management System to the prime vendor contracts; and making use of the full reporting functionality of the Sustainment Performance Management System". It also recommended that for any future procurements that will involve a new service provider, Defence must develop adequate phase-in plans.